LaSalle II students exploring spanish through language and culture. ¡Hola a todos! To help furnish some of the supplies (and fun additions) to our classroom, I have created a Spanish class wish list on amazon. Feel free to peruse, purchase, or just explore the list - I greatly appreciate your support! Please find the link to the wish list below. ¡Mil gracias! I look forward to a wonderful school year! How many people in the United States speak Spanish? In Chicago?! *The shifting demographics of the United States affects everyone. 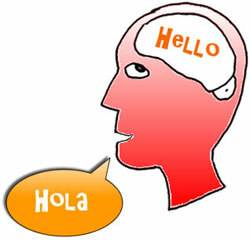 The ability to communicate with a growing percentage of the population (Hispanics/Latinos) offers advantages. How does being bilingual benefit you or your child? "Owning two languages places one in a position to think about language itself, to reflect on its functions, and to treat it as an object of thought."